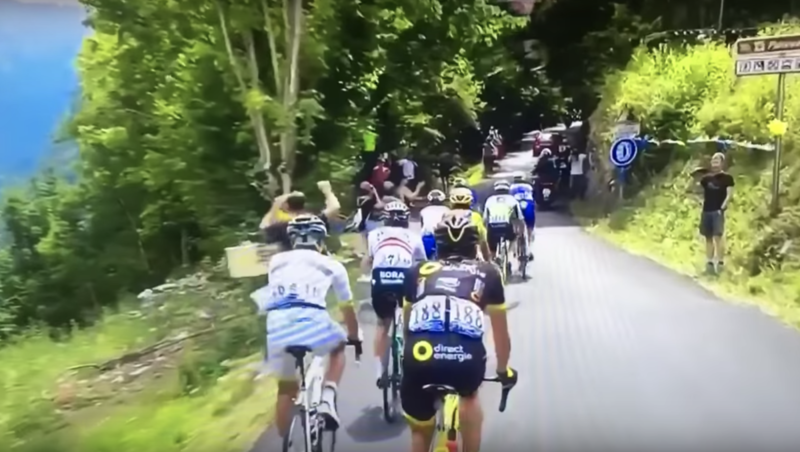 During stage 10 of Tour de France 2018 an unknown cyclists on BMX performed a stunt and jumped over the peleton. Luckily, nobogy got hurt. The similar stunt was performed by freerider Romain Marander in 2013 who jumped over the peleton. While this may look funny, we believe that this exposes peleton riders to unnecessary risk and should not be tolerated.